The ASTQB Mobile Testing Foundation Course is a three day course which provides testers and test managers an understanding of test fundamentals for mobile applications. The course prepares candidates for a certification exam which is delivered on the third day of the course, the official certification exam fee is included in the course fee. ASTQB Foundation Certification helps the candidate learn how to apply and adapt proven best practices to test planning and design for mobile apps; fundamental mobile testing principles; and processes. 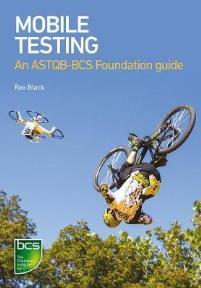 What is included with the ASTQB Foundation Course?